"The Archbishop was in good spirits after settling into his ward. He hopes to be back home in a few days," Tutu's official foundation tweeted Thursday. Former South African Archbishop Desmond Tutu was admitted to a Cape Town hospital for a series of tests, his official foundation said Thursday, without providing further details. "The Archbishop was in good spirits after settling into his ward. He hopes to be back home in a few days," the Desmond and Leah Tutu Legacy Foundation tweeted. Tutu, who turns 87 next month, has previously been hospitalized and treated for prostate cancer and related infections. In 2015, he spent several days in the hospital to receive antibiotics to "quell a stubborn infection," the foundation said at the time. 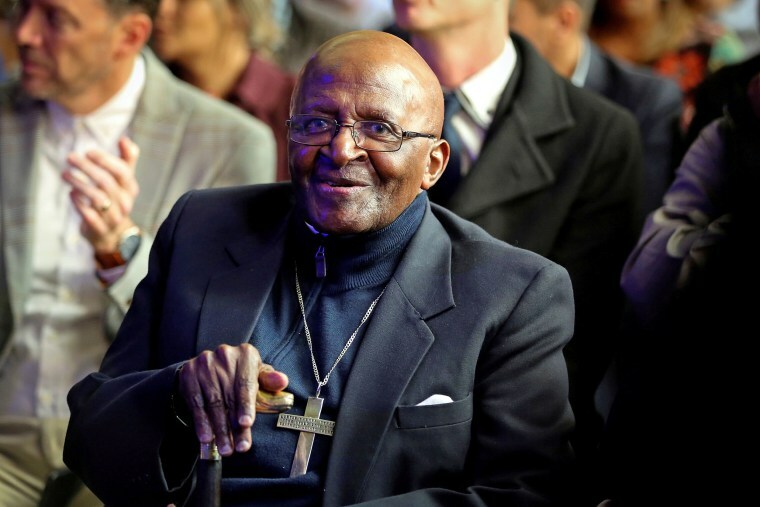 Tutu, the former Anglican archbishop of Cape Town, announced he was retiring from public life in 2010. But earlier this month, in his last public statement, he reaffirmed his belief that terminally ill people should be allowed "dignified assisted death." "Just as I have argued for compassion and fairness in life, I believe that terminally ill people should be treated with compassion and fairness when it comes to their death," Tutu said in a statement following the arrest of a prominent leader of a right-to-die group in Cape Town. Tutu gained prominence through his work as a human rights campaigner. In 1984, he was awarded the Nobel Peace Prize for fighting against apartheid in South Africa, and later played a key role in the segregationist policy's downfall.